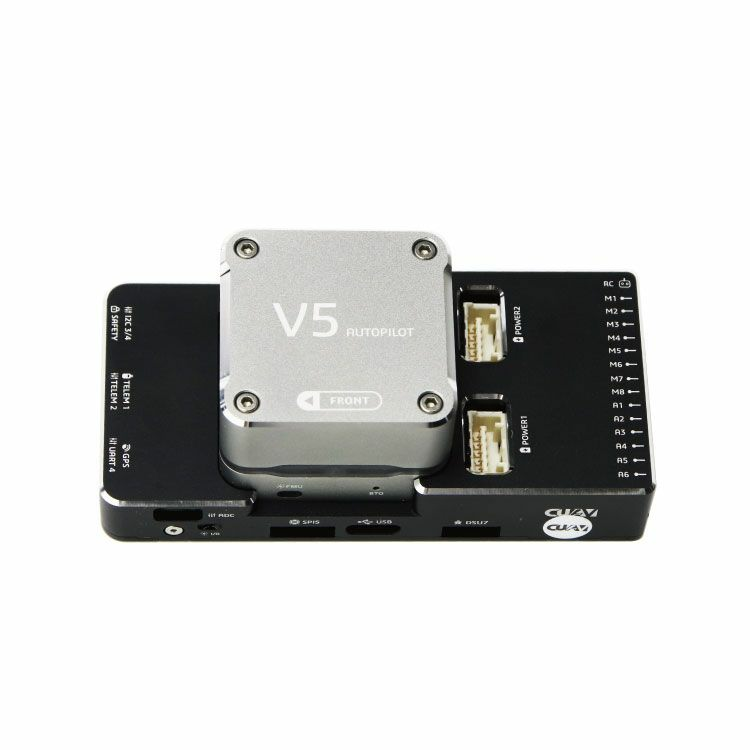 Pixhack V5 is an advanced autopilot designed and made by CUAV. The board is based on the Pixhawk-project FMUv5 open hardware design. It runs PX4 on the NuttX OS, and is fully compatible with PX4 firmware. It is intended primarily for academic and commercial developers. 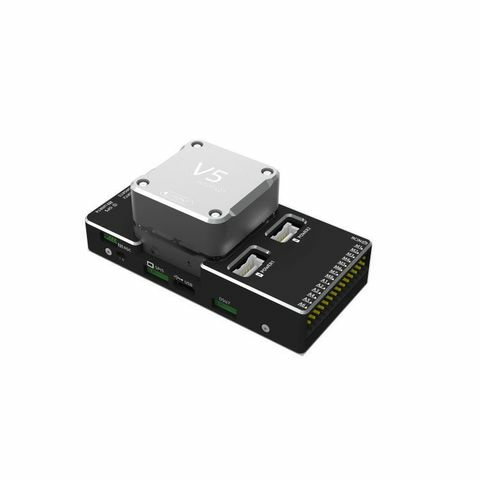 The Pixhack V5 Autopilot adopts brand new V5 Core platform.The core part of the flight control is integrated on the V5 core. The lower plate is detachable and serves only as an external interface carrier, giving consumers a customized space. Users can design their own lower plate according to their own needs. Pixhack V5 AutoPilot is a new high-performance flight control system based on FMU V5 open source hardware. 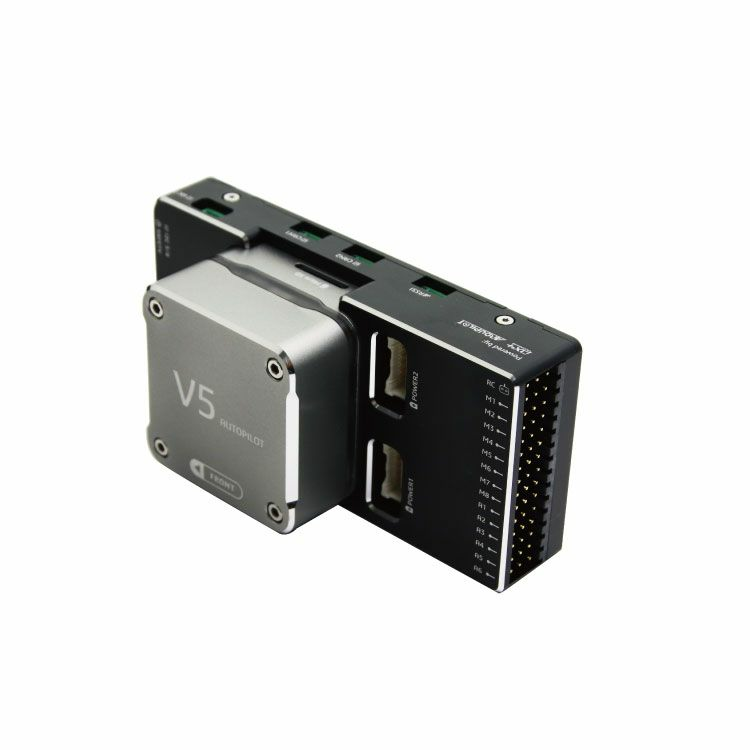 FMU v5 open source hardware features more advanced processors than FMU V3, larger flash and RAM, and more stable and reliable sensors. In terms of hardware configuration, V5 AutoPilot abandoned the original STM32F427 processor of the px4 family and selected a more advanced STM32F765 processor with a clock speed of 216MHZ and 2MB FLASH/512K RAM, higher frequency and larger RAM. The speed will be greatly improved. The same as pixhack v3, Pixhack V5 adopts a three-degree redundant imu, but it uses a more stable sensor such as ICM-20602/ICM-20689/BMI055/IST8310 to improve its adaptability at different temperatures. 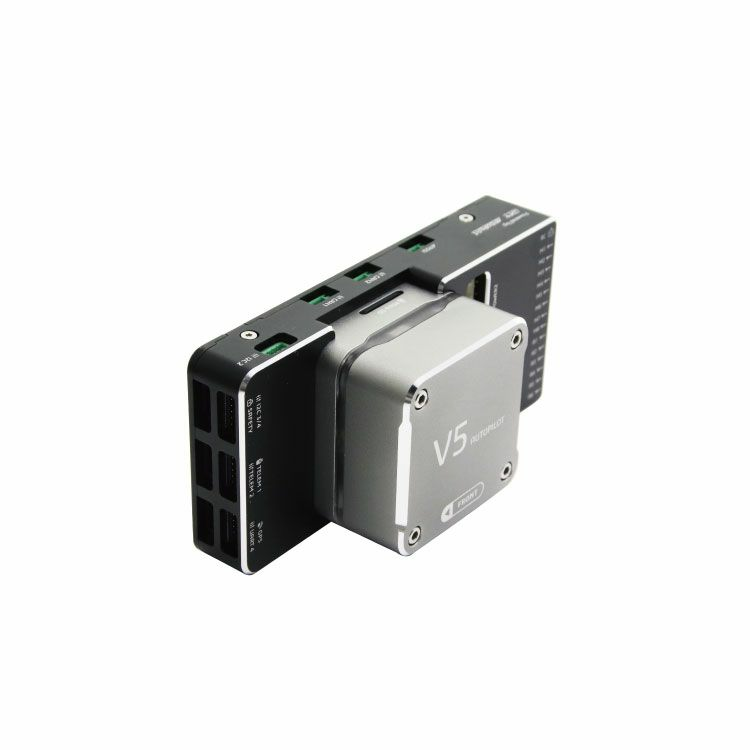 V5 AutoPilot can be triple-redundant on the power supply if three power sources are supplied. The three power rails are: POWER1, POWER2 and USB. The system's serial console and SWD interface operate on the FMU Debug port. Simply connect the FTDI cable to the Debug & F7 SWD connector. To access the I/O Debug port, the user must remove the V5-AutoPilot shell. Both ports have standard serial pins and can be connected to a standard FTDI cable (3.3V, but 5V tolerant).